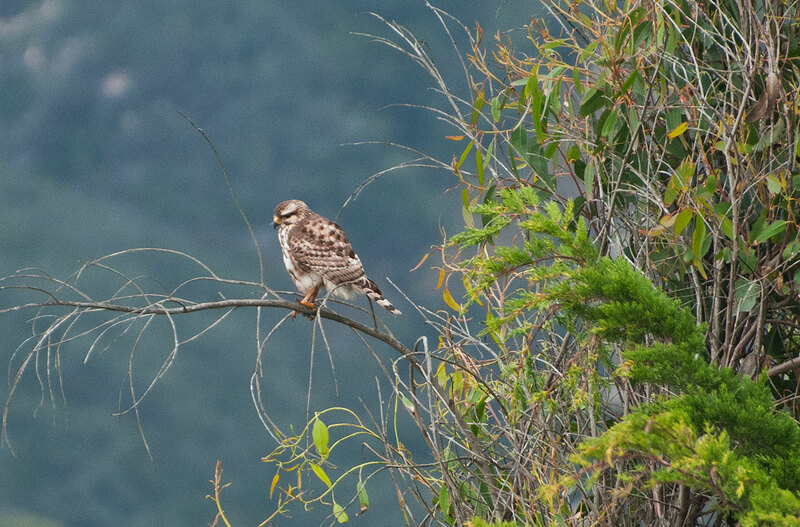 A Gray Hawk (Asturina nitida) has been calling Carpinteria home for the past couple of months. This is big news in the bird world as it may be the first recorded sighting ever of a Gray Hawk in California. 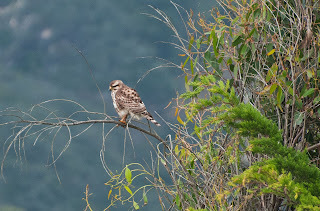 They are usually only found in very Southern Arizona and Mexico so it's a little odd that this bird is up in Santa Barbara County, but how can you blame the little bird, everybody wants to live in SB. 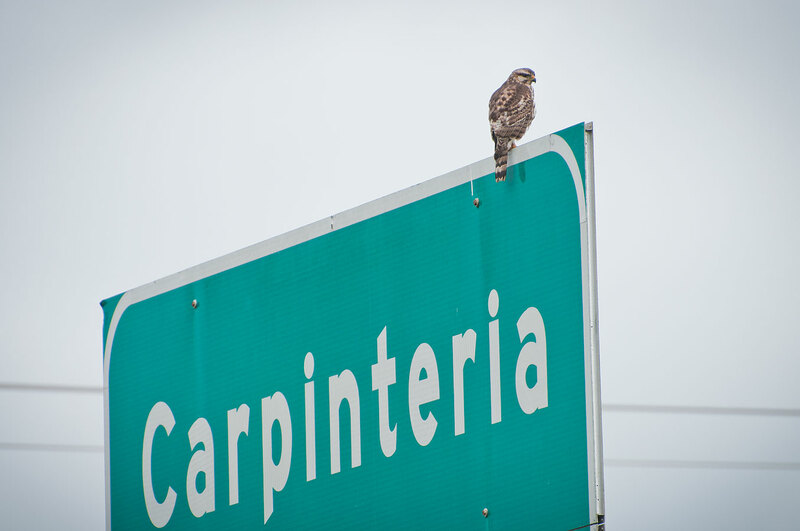 This hawk was not too difficult to find as it likes to perch on the South bound Carpinteria Ave. exit sign. 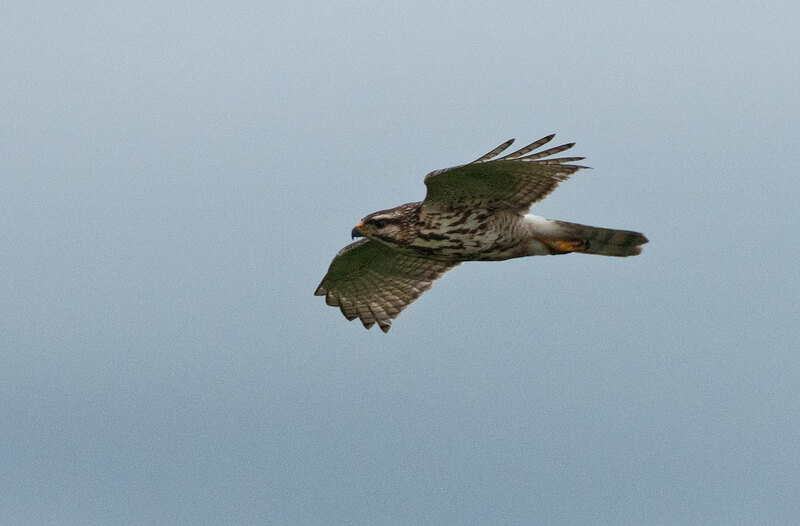 With directions from Humboldt ornithologist Kerry Ross and help from another Humboldite Jared Hughey, who I ran into while he was also looking for the bird, we were able to track it down shortly after being fooled by a juvenile Red-tailed Hawk. This was my first experience chasing a rare bird and I'm sure it won't be my last. See the Gray Hawk range map below for reference.